You are here: Home / Reviews / Comic Book Movies / The Lego Batman Movie Review! The Lego Batman Movie Review! 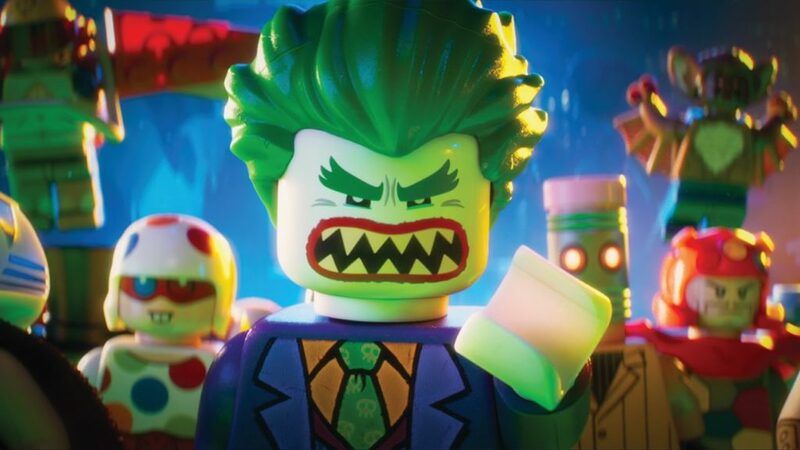 There are two reasons I tensed up at the appearance of the Will Arnett voiced Batman in The Lego Movie, in what was otherwise a carefree smiling romp through the Chris Pratt victory hour. The first was the idea that Lego Batman would mercilessly mock the Caped Crusader, telling me and every Batfan out there that our comic book hero was nothing but parody. The problem isn’t the jokes so much as the reflection of pop culture at large. Is Batman just a gag everywhere outside of actual comic book readership? The Lego Batman Movie gloriously proves that Batman can be both self-aware satire and ode to an over 75 year history of art. Yes, Lego Batman is a self-obsessed blowhard who refers to himself as Bruno and saves the world with the power of his shredded abs. Amazingly, though, Lego Batman also includes a loving appearance of nearly every Bat-Villain ever created (Catman! Condiment King! ), legendary Batman comic book covers, and any Bat-movie or TV appearance. If there’s one thing that’s clear, even through every scene with Robin tearing away his pants to reveal nought but the skimpiest green underoos this side of Victoria’s Secret, it’s that Lego Batman Movie team reveres Batman as much as anyone. The excellent, blink-and-you’ll-miss-it humor comes from an obsession with the Dark Knight. The second reason I fear this Batman, which truly began to crystallize watching The Lego Batman movie, was that this would be the best Batman. The aftershock of Batman v Superman’s dreary worldview, especially stacked against the childlike satire of Lego Batman, leads to two competing Batmans. One stands for the endless night, and the other stands for DARKNESS (sweet guitar riff). The only problem is that one of these is a LEGO. I’m really not sure how to feel about a world where our best Batman comes with Bruce Wayne tuxedo accessories for only $19.99. To be fair, Batman wasn’t even one of the top 25 problems with Batman v Superman, but it’s a bit odd to have so truly enjoyed Bojack Batman more than the DC Expanded Unvierse version were likely to see on screen for the remainder of the decade. None of this should take away from The Lego Batman movie simply for doing an excellent job. 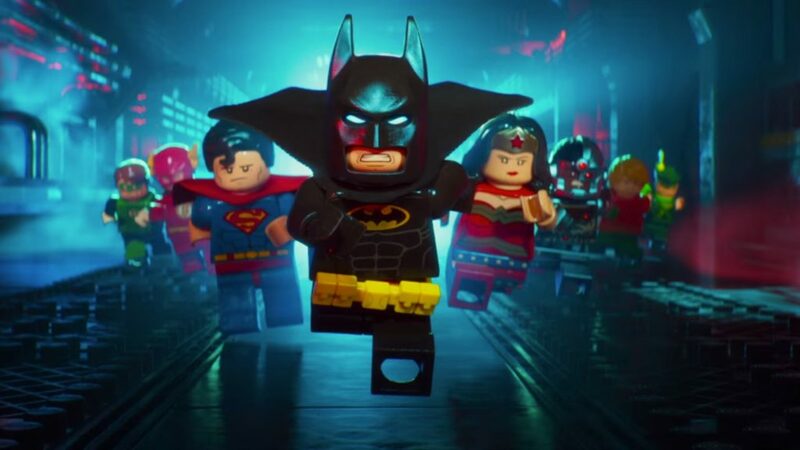 Despite a heavy-handed theme (note to self: You are in a theater full of actual children, sir), Lego Batman is riotous fun, endlessly funny, and brilliantly reflects the imagination of playing with Batman action figures (or, yes, Legos) as a child. I don’t want to spoil anything, so I will say that in addition to the extended Gotham city cast of heroes of Rogues, Lego Batman also makes use of the extended Lego Universe in unpredictable and brilliant ways. The end result is a loving testament to the entire DC Universe, and a wonderful All Ages Batman movie. I’d expect due to the nature of Easter eggs Russian nesting inside Easter eggs, Lego Batman holds slightly more pleasure for Batfans, but there are plenty of jokes for everyone, from Doctor Who to Bed Bath and Beyond coupons (seriously). If you’re looking for more Batman comics now, I recommend the following guides! In what continues to be the single greatest theater commercial of all time, the Lego Batman Movie continues the unbridled fun and joy of The Lego Movie. I had intended to write my own review of the movie but, well, yours says everything I would and you do it about 10x better. So I’m just going to share yours around instead. Thanks for such a great review!